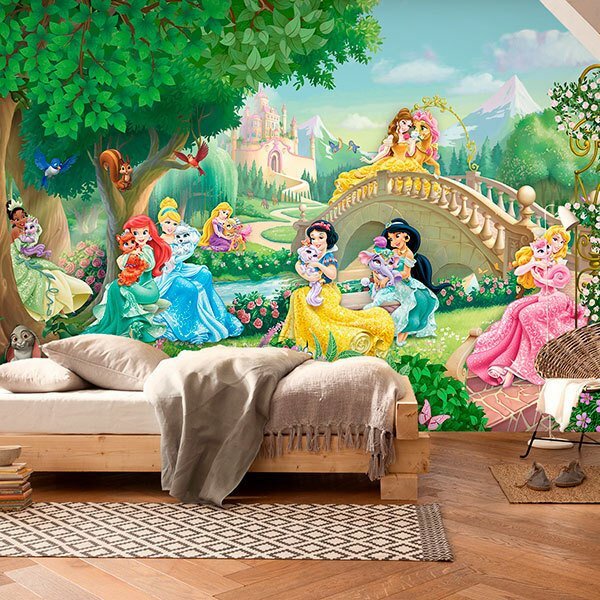 Wall mural Disney Princesses with Pets. 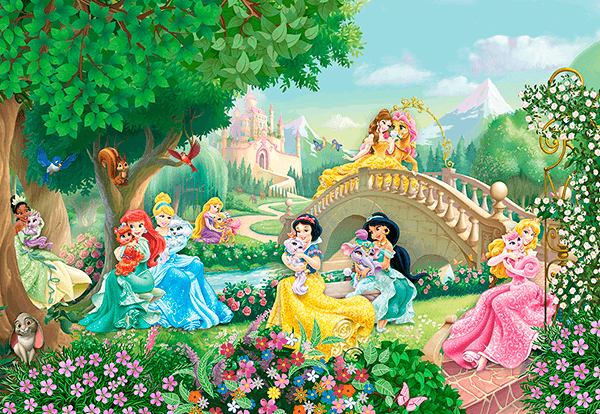 Design in which several Disney princesses with animals appear next to the bridge that leads to the palace. 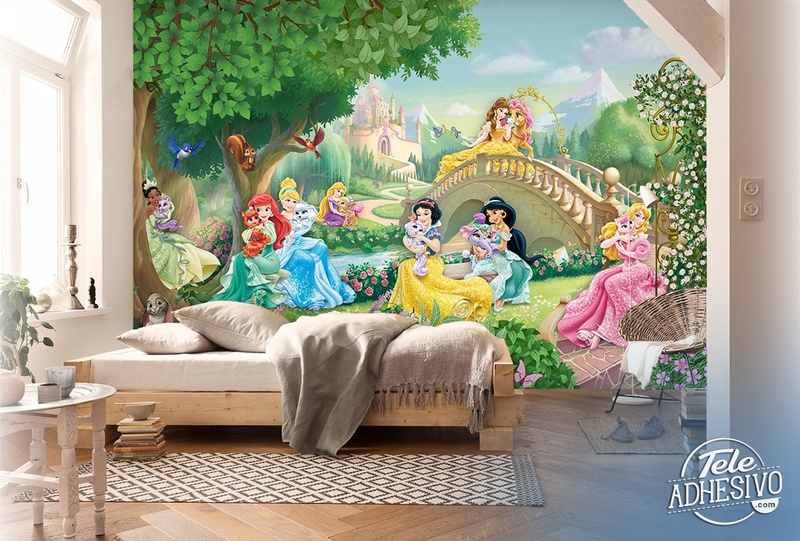 We can find Snow White with a cat, Jasmine with an elephant, Cinderella with a dog or Tiana among other princesses.